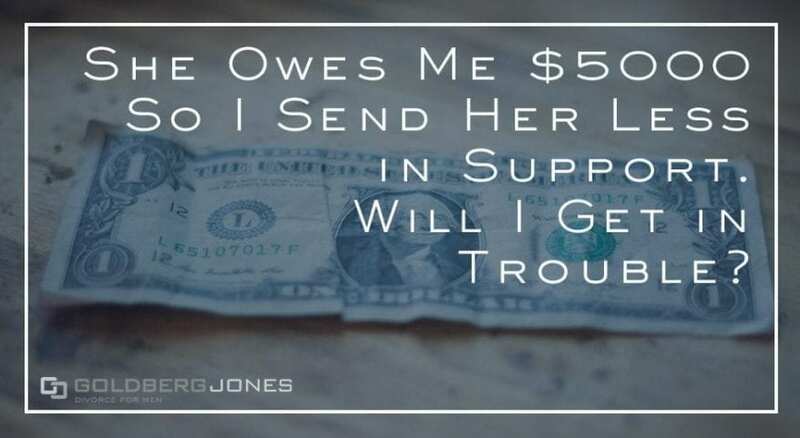 "She owes me $5,000 so I send her less in support. Will I get in trouble?" Money often becomes a huge issue following divorce, especially when it comes to spousal support. And like most court orders, once in place, it’s difficult to modify alimony. That said, some people take it upon themselves to change things up, which isn’t always a great idea. Rick Jones, one of our founding partners, makes regular appearances on the Danny Bonaduce and Sarah Morning Show, where he answers family law questions from listeners. A recent caller is owed a significant amount by his ex wife. He started to take money out of his regular spousal support payments to recoup what he’s owed. What he wants to know is, will get in legal trouble for that decision? Caller: “I got divorced in Oregon in 2017. Everything was fine, alimony was set on a sliding scale for ten years. But she owes me $5,000 in legal fees. She moved to Hawaii, I have no way of contacting her, and I can’t afford a private investigator to serve her papers for the $5,000. Rick: “Well, you know, just like you’re talking about not really having the resources to file an action to collect this $5000, the shoe can be on the other foot as well. I very rarely recommend self-help, and if there was the state involvement on this I wouldn’t recommend it. But at this particular point in time, she’s sort of got a choice, right? “If she wanted to take you to court, she could go back to court and say, ‘Hey, look, he’s shorting me $100 a month,’ and your response would be, ‘Yeah, I am, and that’s because she owes me $5000.’ So she really has no incentive to take you back to court on this. And ultimately, especially if the $100 a month is relatively small potatoes. I just don’t see her doing it. Related Reading: I Lost My Job, Can I Get My Child Support Payments Reduced?